Thank you to everyone who attended. We will post all resources presented at the conference on this page in the coming days. Check out all the problem-solving lessons developed by teachers in our Lesson-Study Library below including 70 new lesson proposals developed over the course of 2017-2018. After breaking new ground in 2017 with live problem-solving lessons by Irish teachers, Maths Counts 2018 again showcased three live lessons developed through our Lesson Study programme. Teachers from Coláiste na Tóirbhirte, Ardee Community School and Coláiste Éamann Rís, Callan taught their research lessons live to groups of students from their own school – all for other teachers to see. It was brilliant to see the huge amount of planning come to fruition in an inspirational hour of teaching and learning. We hope that all teachers present enjoyed the chance to watch somebody else teach. 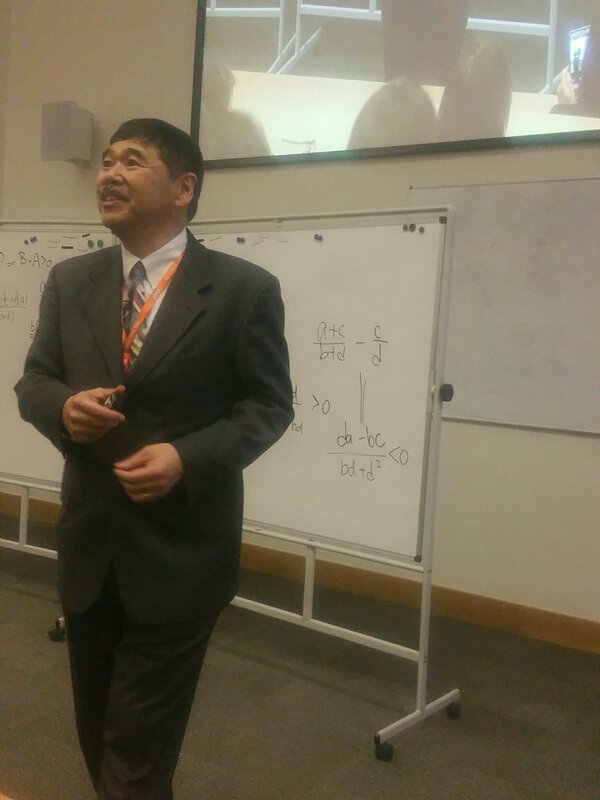 Prof. Tad Watanabe wowed students and teachers alike with his problem-solving lessons on fractions. Tad brought the students of Ardee Community College on a fascinating journey, starting with comparing fractions, through to proving that there are an infinite number of fractions between any two fractions. In the course of the journey students grappled with the process of mathematical proof, all the time practising their skills for manipulating algebraic fractions and reasoning as to the properties of different fractions. After finishing his lessons, Tad attended the live lessons and interactive workshops delivered by our Irish Lesson-Study teachers and commented on the high standard of all the work he saw. 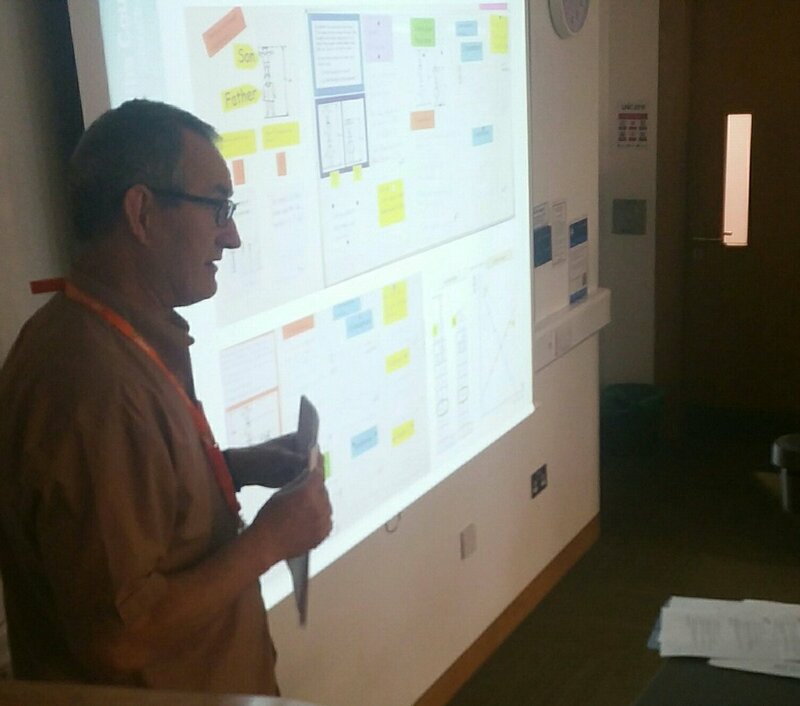 We had 23 workshops presented by teachers at Maths Counts 2018, outlining their experience of using Lesson Study for their CPD and of teaching through structured problem solving. The quality of presentation was incredibly high and it was great to see teachers discussing their approaches to teaching each topic and the common problems students present with in the classroom. Every workshop concluded with a question and answer session where teachers got the opportunity to ask the presenter about participating in the Lesson-Study programme. 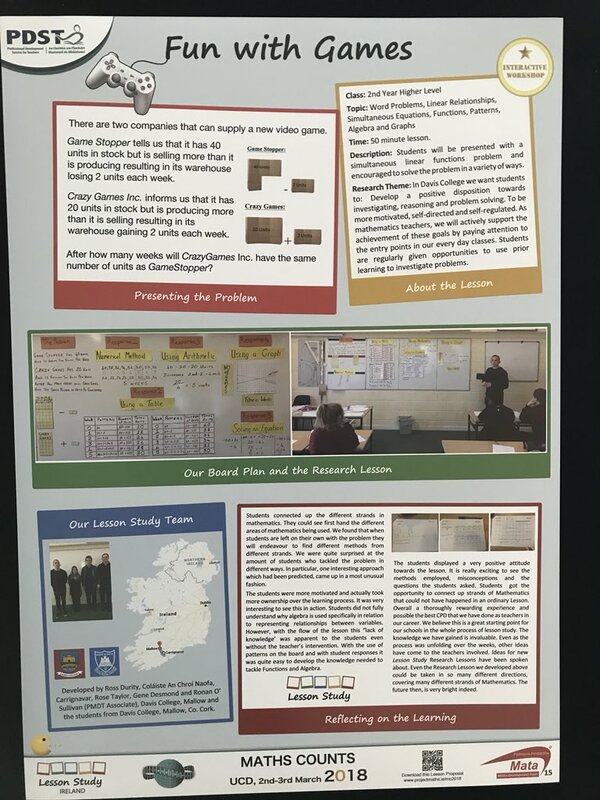 The huge amount of work undertaken by teachers involved in the 2017-2018 Lesson-Study programme was highlighted by the extensively display of posters which outlined the work of each research group. Each group got the chance to take their posters with them back to their schools. Well done to everybody who presented a poster.